Issue 4 is all about institutions. “Institution” doesn’t just mean schools, jails, and hospitals. Rituals, traditions, and laws are institutions, too. Marriage is an institution, as are religion, war, art, motherhood, and friendship, to name a few. Where you find culture, you’re bound to find institutions, so look twice at what lurks between the lines of these stories. Galen Dara (cover illustration) sits in a dark corner listening to the voices in her head. She has a love affair with the absurd and twisted, and an affinity for monsters, mystics, and dead things. She has illustrated for 47 North, Edge Publishing, Lightspeed, Fireside Magazine, Apex Publishing, and Goblin Fruit. Recent book covers include War Stories, Glitter & Mayhem, and Oz Re-imagined. She is nominated for the 2014 Hugo Award for Best Professional Artist. You can follow her on twitter @galendara. 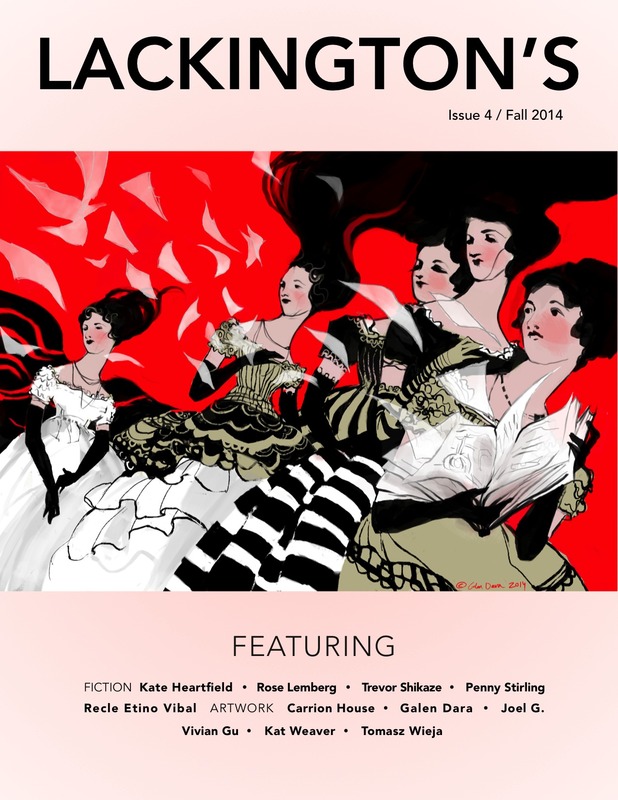 Many thanks to the talented artists who drew interior art for this issue: Carrion House, Joel. G., Vivian Gu, Kat Weaver, and Tomasz Wieja. Thanks also to our donors, who helped pay for the words and art found here: Cristina M.R. Norcross and Charles Tan.